This is a very common condition and occurs in all age groups. It is caused by degeneration or swelling in the tissues at the back of the knee. 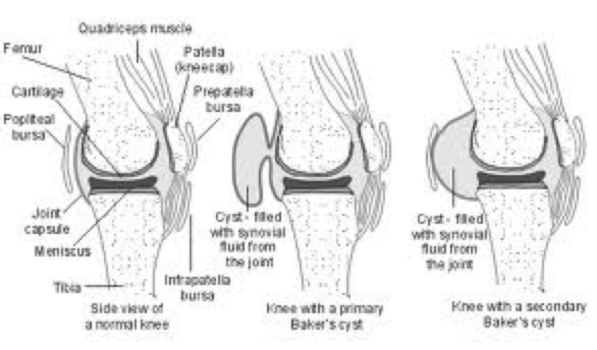 The cyst often presents with swelling and/or discomfort at the back of the knee. If large it may be visible or can be felt easily and can cause difficulty with bending of the knee. Most cysts will settle by themselves but a few will break and the fluid goes into the calf muscle and can be mistaken for thrombosis of the leg. Cysts can be seen by ultrasound or MRI scan. Surgery is very rarely required.